Wedding Accessories Goa, besides the planners, caterers, and venue, there are various other wedding related things to take care of like the wedding card, jewelry and, of course, the wedding day attire for the bride and groom. Mapusa, Panjim, and Margao have a number of jewelry shops that sell some of the finest wedding rings and jewelry for this occasion. Goa, provide some of the best tailors to stitch wedding suits for the groom and wedding gowns for the bride. 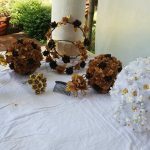 Besides these, there are other wedding accessories like the wedding tiara’s, veils, family flowers, headgears or flowers for flower girls and bridesmaids, ring holders, church candles, Furnitures and many more similar accessories. Fireworks is another thing that you would use to add up extra lights and entertainment to your wedding reception. 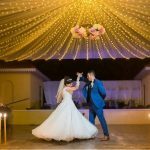 Weddings de Goa has clubbed in some of these dealers in Goa that you can choose at a click and not go hunting door to door to choose the best for you.